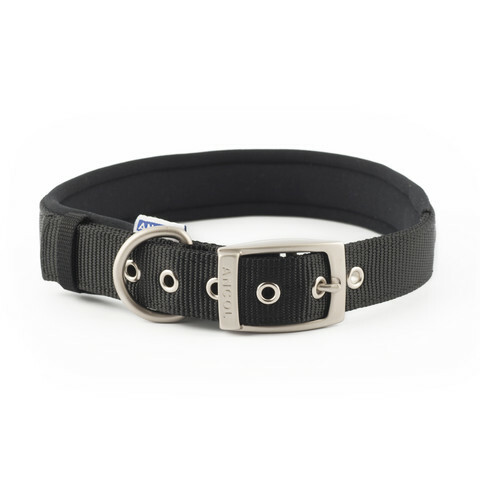 The Ancol Heritage padded nylon buckle collars, are a popular choice within our range, offering a strong resistant collar that is also lightweight and weatherproof. The Ancol padded dog collar uses neoprene padding to act as a cushion around the neck for added strength and absolute comfort. Neoprene is a technically superior material for use as padding due to its comfort and breathability.